Even though not part of the Golden Gate National Recreation Area (NRA), the Golden Gate Bridge and the NRA are practically inseparable. After all, it's where the NRA gets its name from! People traveling to parts of the NRA will definitely catch glimpses of the bridge, while visitors going to see the Golden Gate Bridge will pass by places in the NRA for sure, sometimes unknowingly. Built in 1937, the Golden Gate was the world's longest suspension bridge at the time. 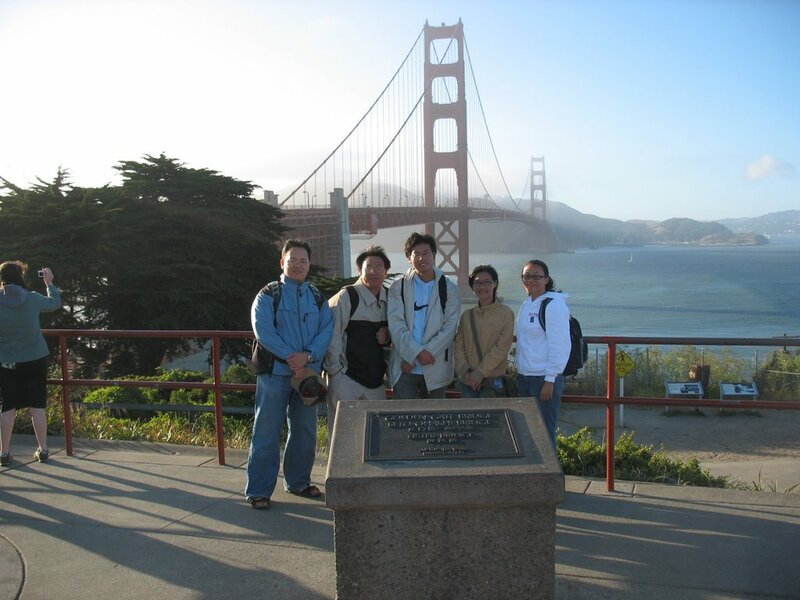 It has since been surpassed by a few other bridges, but the Golden Gate Bridge remains a symbol of suspension bridges. More importantly, it has been a landmark and icon of San Francisco and California in general. Even though being man-made, there is something truly inherent about the Golden Gate Bridge that gives it unmatched beauty over other suspension bridges built before and after it. 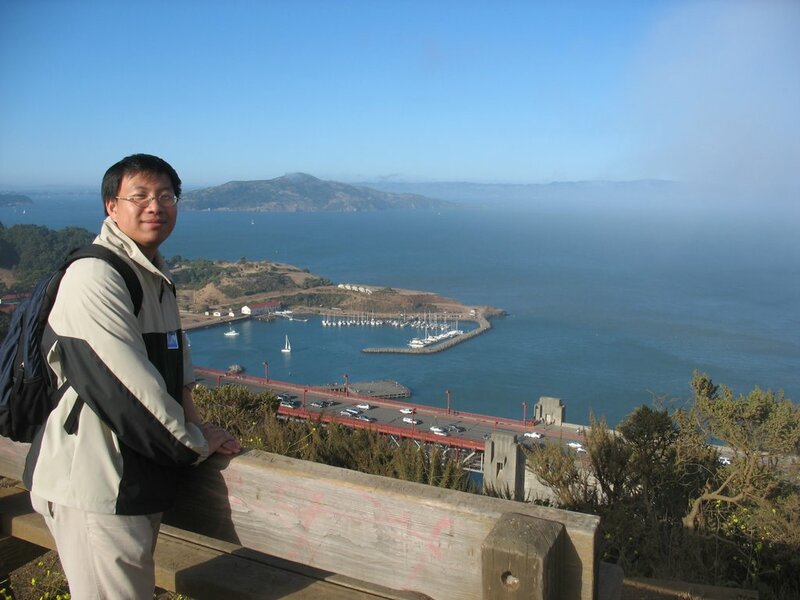 People flock to San Francisco daily to marvel at this engineering feat. And of course, the Golden Gate Bridge is always on the top of any list of the world's most beautiful bridges. 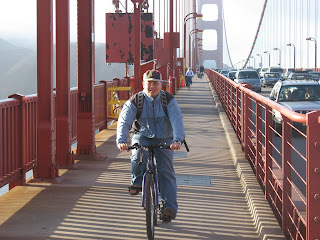 Having driven on the Golden Gate Bridge countless times, one of our goals of the bike trip was to cross the bridge and back. After the stop at SF Maritime NHP, our biking route was fairly simple. 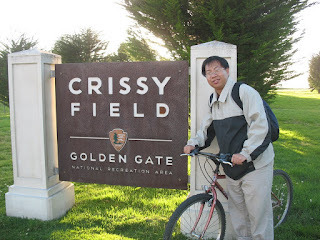 We followed the bike trails from Aquatic Park through Fort Mason and then westward through the Crissy Air Field, picking up passport stamps at various visitor centers along the way. Hoping to catch Fort Point before its closing time, we then saved the feat of crossing the Golden Gate Bridge last. Crossing the bridge by bike isn't as tough as expected. You'd be crazy if you were to walk the bridge by foot. On the other hand, if you simply drive through it, you'd be missing out a lot too. On average, it took about 15-20 minutes to bike the bridge, one-way. Because of the arching of the bridge, the first half is slightly uphill, with good downhill rewards soon later. 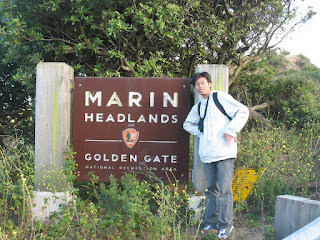 After crossing to Marin county, we decided to make it up to the Marin Headlands again. The road leading from the end of the bridge to the first viewpoint of Marin Headlands is a very steep slope. None of us were able to bike up the hill and ended up walking the bike instead. The breathtaking view of the Golden Gate Bridge and San Francisco was cut short by the incoming evening fog. Crossing the bridge back to SF, we called it a day. Crissy Air Field, honoring Major Dana H. Crissy who died in a test flight, was established in 1919 as a US Army airfield. In the 1920s, it would go on to set many aviation records, like the first dawn-to-dusk transcontinental flight. Initially thought of as an ideal location for a landing field because of the flat marsh area, the notorious San Francisco fog presented frequent flying problems. 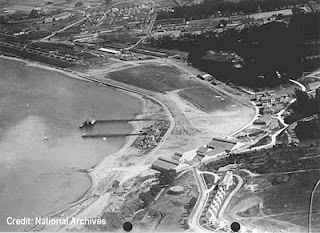 In 1936, when the Hamilton Field in Marin County opened, the main operations were transferred there. The buildings in the area were continually occupied by the US Army until 1974 when it officially closed down. Redesigned in 1994, Crissy Field is today an open space for the public and part of the Golden Gate NRA. On a good day, many San Franciscans either walk, jog, or bike through the area. In addition, there are beaches and other gathering places for families and friends for a picnicking. On clear windy days, you'll see people flying kites here for sure.